Well we are still trying to recover from the cold/flu acquired during our late nights in Fairbanks, so though the nights have been somewhat clear of clouds, this week has been full of quiet rest and sometimes paging through the stacks of newly arrived science journals. First we should review two upcoming events for consideration for your calendar The April American Physical Society (APS) meeting is in Denver this year from April 12-16. This is your chance to catch up on the latest news and get some fresh Colorado skies. See all of you physicist wannabes there! Then later on in July, the 9th International Conference on Mars returns to Pasadena on July 22-26. See all of you Martians there! 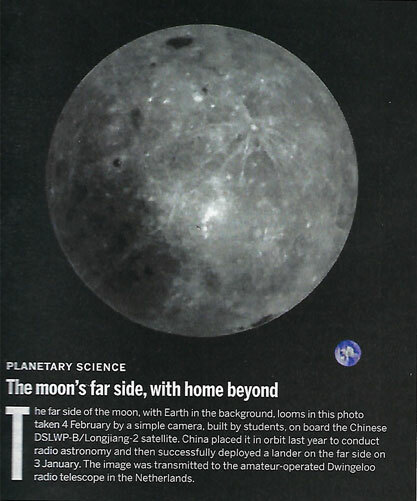 Next up is this image from Science which shows the far side of the moon with the Earth peeking around the bottom edge. How neat is that! It has been a long time since we have seen images of the far side of the moon. Now we can see this view from the Chinese DSLWP B/Longjiang-2 satellite. The February 14 issue of Nature had two related astronomical articles by the CHIME Collaboration in which they describe some of the latest results that occurred during pre-commissioning testing. 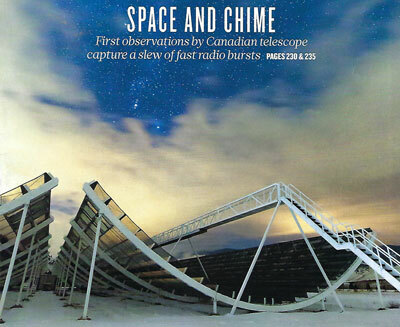 First of all we have to remind all of us that CHIME is the Canadian Hydrogen Intensity Mapping Experiment located at the Dominion Radio Astrophysical Observatory (DRAO) near Penticton, British Columbia, Canada. The telescope consists of four north-south oriented, fixed 20 meter by 100 meter cylindrical reflectors. The focus is at a line, not a point, and there 256 feed horns located equidistant along that line. The feed horns are digitized in the 400-800 MHz range and correlated onsite. The telescope is still in pre-commissioning checkout and not yet at full sensitivity, but nonetheless detected 13 Fast Radio Bursts (FRB). Now we all have been waiting for this instrument to come online and let us in on the secret of FRBs. 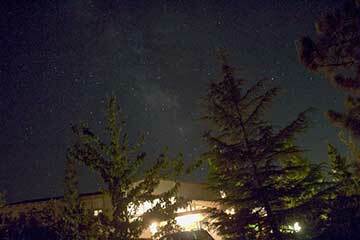 But what caught my attention most of all was the question of what astrophysical mechanism causes FRBs? So, rather than reading more of the Nature article, I started searching for the latest model being used to explain FRBs. Whether this or other models are correct, we won't know until more observational data is available. 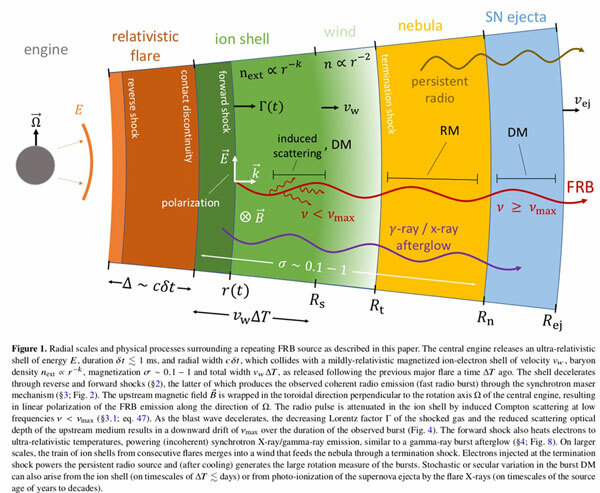 But, this paper by Brain Metzger, et al, just released on the archive on March 12, has a great diagram that shows the proposed model of FRB generation. The model starts with a compact object, say a neutron star, which undergoes some slight excitation and pulses outward with a thin shell of relativistic material. Now before you worry that none of this description is understandable, don't worry! It is not that I myself understand what all of this means or how it would be described in simpler terms, but the big picture presented by this model allows us to see what must be possible underlying astrophysical processes. With this picture in mind, then we can go back and do more serious study for each of those areas. Anyway, the model presented in the paper is shown below. Notice how as this pulse of relativistic particles moves spherically out from the neutron star, that it collides with slower material in and around the neutron star, and it is in this collision which decelerates the expanding shell of material, that the FRBs are generated. Note you could also observe some persistent radio emissions and x-ray emissions also during this process. Two processes identified as RM (Rotation Measure) and DM (Dispersion Measure) are identified as being generated in the wind, nebula and SN ejecta phases. The RM is associated with rotation of the generated electromagnetic waves due to the presence of high magnetic fields. The DM is associated with the dispersion caused by the density of plasma in the environment. So when the FRBs are received here on Earth, we can get some indication of the plasma environment as well as the magnetic field environment. Pretty neat! But remember, just because it shows up here as a simple diagram, understanding the details is a completely much more complicated endeavor! We are still left with trying to understand the initial little expansive burst that started the whole thing off and after that we still need to understand the deceleration and generation of electromagnetic waves under the influence of the plasma and magnetic fields. Maybe, the FRBs will be tied more to the magnetar phase of neutron star evolution where the star has very high magnetic fields present. 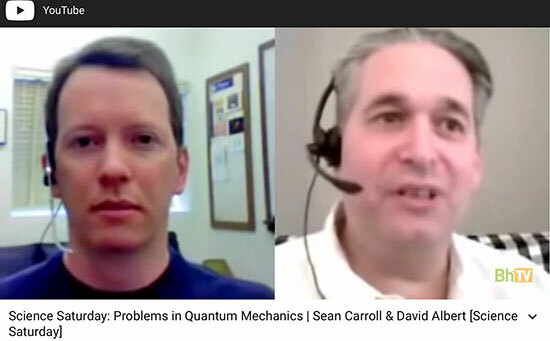 Ok, thinking about the astrophysics of FRBs has pretty much tired me out and I was glad when I cam across this old YouTube video interview between a very young Sean Carroll and David Albert. They were talking about the interpretations of foundations of quantum mechanics and the Ghiradi-Rimini-Weber (GRW) interpretation, which assumes that each superposition has a very small slight chance of undergoing a random collapse and the Everettian many-worlds interpretation. Now I kind of like the GRW interpretation, but it was their discussion of the many worlds interpretation that really blew me away. Now I have not been very accepting of the many worlds interpretation because it just never made sense to me that just because that is one way of interpreting the Schrodinger equation, it does not mean that the world could or would actually split and double for every measurement being made. This just did not make any sense. But Sean set my thinking straight right away when he said that of course this kind of interpretation is silly and that is not what is meant at all. His explanation, and this was the real "eureka" moment for me, was that the world as we see it now is already in a very large-dimensional Hilbert space superposition state. There is a wave equation for the whole universe and nothing is created when a measurement is done, the superposition just sort of continues on as before. Here is my simplified way of thinking about this condition. For any one isolated particle, it can be in either a spin up or spin down state, for example, or a superposition. Thus this case can be described by a 2-dimensional Hilbert space. Now let that particle interact with a 2nd particle, also described by a 2-dimensional Hilbert space of possibilities. But, it the two particles become entangled, then their possibility space is twice as large, or 4-dimensional Hilbert space. Now if a measurement is made on this combination, the results, whether superimposed or not, is still describable by the 4-dimensional Hilbert space. No need to talk about new worlds being created or anything like that. The combination just resides in the same 4-dimensional space, although with different probabilities attached to being in spin up or spin down state or whatever state was being considered. Add more particles and the dimensionality needed to describe the behavior just keeps getting larger and larger until the whole universe can be described. The Hilbert space of the universe is as large as it gets. Wow, so the same thing could be going on around us as quantum experiments take place. Since everything, including us, is already in some kind of superposition, the Hilbert space is of large enough dimensionality to allow for all possible outcomes including all of the already superpositions and states of every atom around us. No need for new separate worlds coming into existence. The universe's Hilbert space is the same size before or after any experiment or particle interaction. The original superposition has been modified, just in strict conformance to Schrodinger equation, and no special measurement events or physics is required! Ok, ok, it is a little more complicated than that, but for the first time, I see that the multi-worlds interpretation of quantum mechanics is not silly after all and in reality might be the simpler way of quantum mechanics interpretation! Thanks, Sean, for finally helping me see the light (even though you recorded the video years ago)! For some reason, this old video finally made more sense to me than any of the newer versions having the same sort of discussion. Check it out yourself and see if it makes sense! Finally, as part of my homework after attending the Dark Energy Workshop, as described in the post of March 12, 2019, I've been looking for a more introductory level book on dark energy. This is quite difficult because dark energy is a complicated subject and just to be able to identify the need for dark energy requires a lot of astrophysical knowledge. 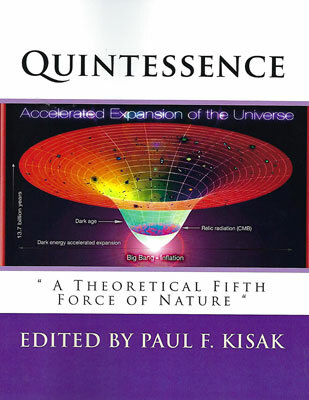 Anyway, this book, "Quintessence", edited by Paul Kisak, goes a long way toward providing a "kind" of introduction to dark energy using the quintessence model, which is a dynamic theory allowing the dark energy field to change over time. The book itself is arranged in 41 short chapters of 3-8 pages. Each chapter covers a part of the whole dark energy scenario and you can zero in on one part or another and see a brief description of the issue, but you will have to go to another reference book for a more gentle introduction of that chapter topic. Kisak has edited quite a number of books on widely separated topics and I find "Quintessence" at just the right level for the physicist wannabe. If you are not up on the topic of each chapter, you probably will not gain a good understanding from that chapter because it is just too brief. You can see right away what the issue identified in each of the chapters is and even though each chapter is not going to give you the fundamental theory behind each topic, you can see where you need to go and what previous physics class you need to go back to for better understanding of each of those topics. For instance the chapter on modifications to general relativity show the three main ways in which the equations can be modified and even though it is not going to explain the details, you can see right away what each of these three modifications is and what you need to study further. Check it out if you are trying to get into dark energy physics!